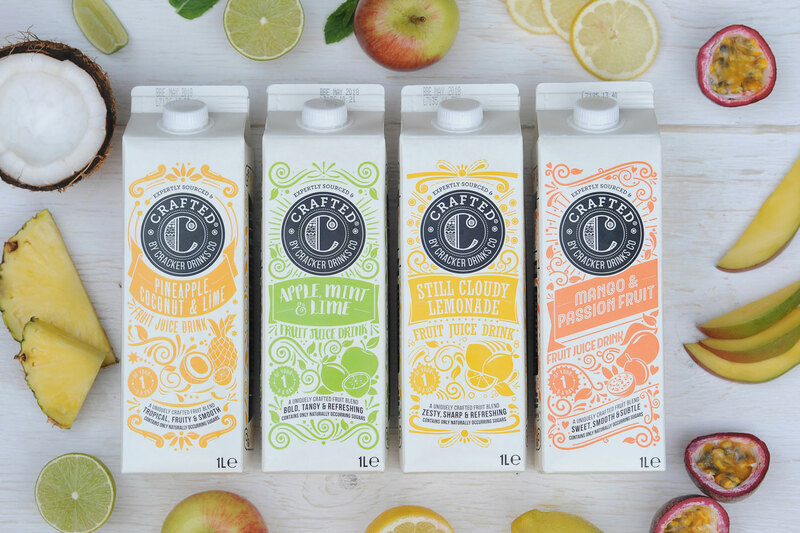 We are delighted to present an exciting new range of on-the-go drinks, an addition to our CRAFTED® portfolio of naturally delicious fruit juice drinks. This week we are launching our new smaller 330ml pack, perfect for on-the-go refreshment at lunch time or anytime of day. 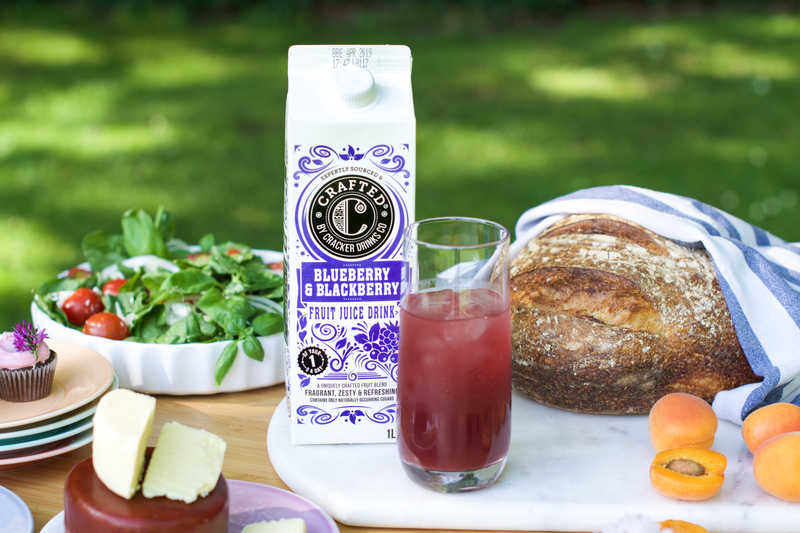 As with all CRAFTED® products, they are a blend of fruit with water. This means that each serving is at least 20% lower in both sugar and calories than the juice on its own whilst still providing 1 of your 5 a day. The new range is made up of 3 delicious blends: Mango & Passion Fruit, Blueberry & Blackberry, and Still Cloudy Lemonade. With this range we have not only looked at the blends and individual design of the packs but also environmental impact. This is why the range has been packed in a convenient 330ml with a screw-cap rather than a PET bottle. With its bold and vibrant colours, this new offer is guaranteed to stand out as something fresh and authentic on the shelf, offering convenience, healthier drinks, with absolutely no compromise on taste! 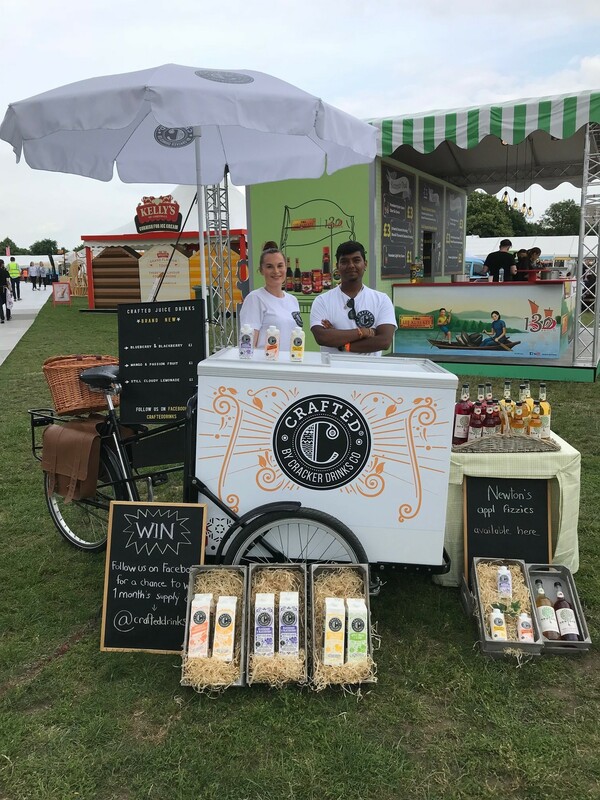 It's that time of year once again and we are at Taste of London 2018 for the rest of the week. We are really excited to be here this year with our delicious blends, presented in a brand new 330ml pack. Place all your ingredients in a thick bottomed pan and bring to a low boil. Simmer everything for 20 minutes. 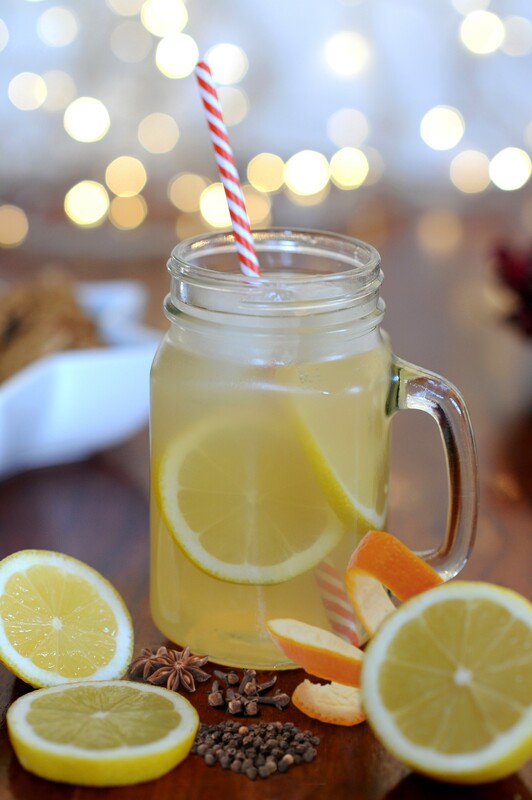 To serve strain into a heatproof glass; garnish with an orange wedge and star anise. 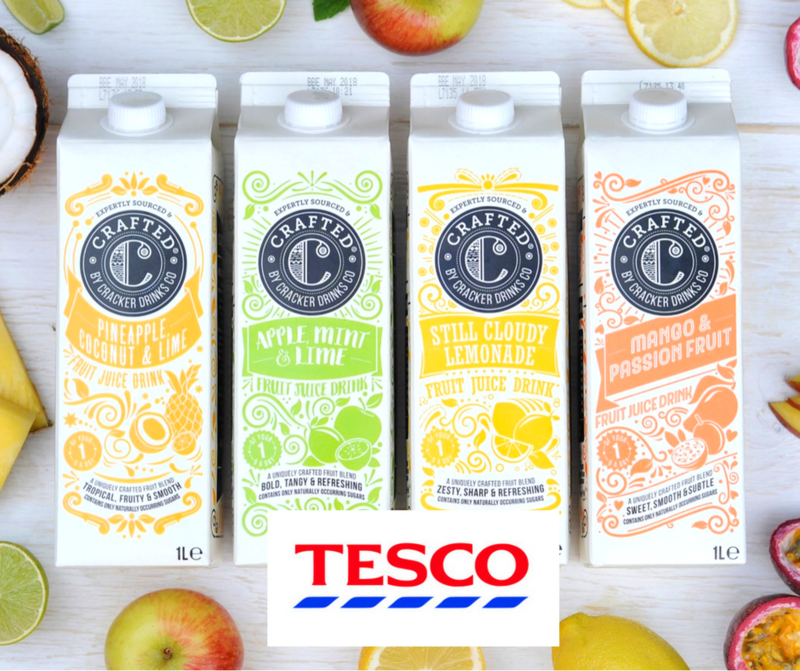 Our Crafted juice drinks range is now available in Tesco. The range includes 4 great blends: Mango & Passion Fruit, Pineapple Coconut & Lime, Apple Mint & Lime, and Still Cloudy Lemonade. You will find the drinks in the ambient aisle. Just because you are going Sober for October doesn’t mean you can’t enjoy a nice drink. 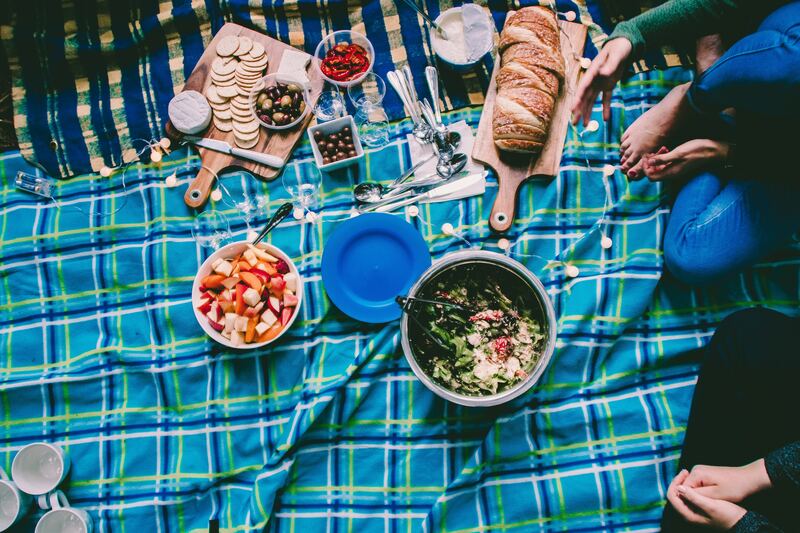 This month we are looking at ways to enjoy a drink without the alcohol. We are also looking at clever ideas of how to pair our drinks with food. Follow us on Facebook and Instagram @CraftedDrinks. At Crafted we focus on offering the best tasting products we possibly can. We try different combinations and blend until we get the balance just right. So we are always delighted to receive feedback on the taste of our juice drinks. 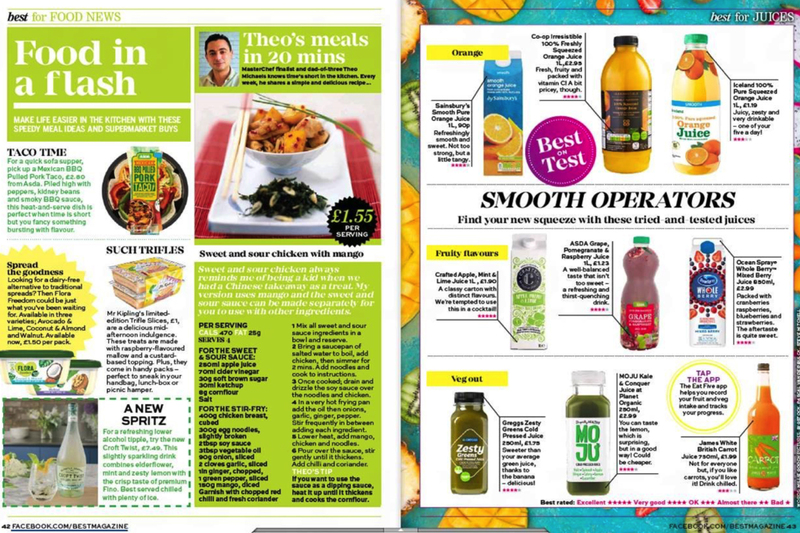 We were very happy to see that our Apple, Mint and Lime received a 5 star rating from Best Magazine. Thank you. 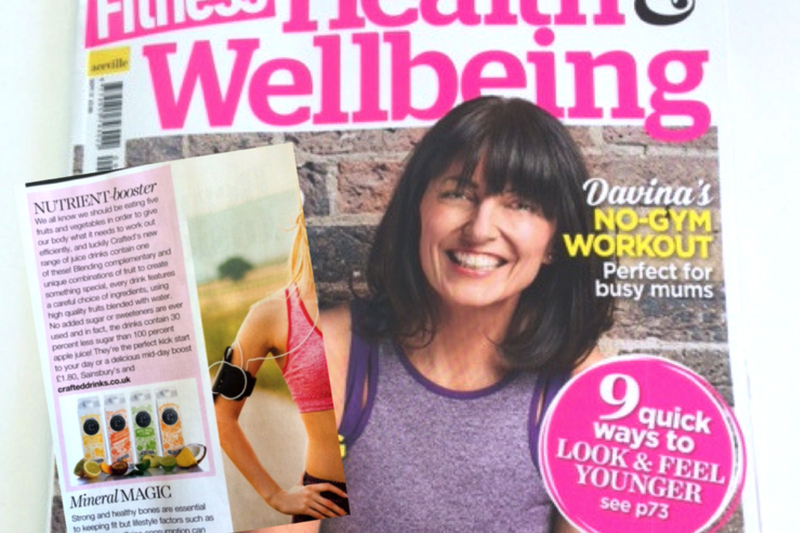 Crafted drinks have been featured in September’s Health and Wellness (Your Fitness) Magazine. We focus on delivering great tasting products. But at the same time, our drinks are a great way to consume more fruit. They are high in fruit content but we never ever add sugar or sweeteners. 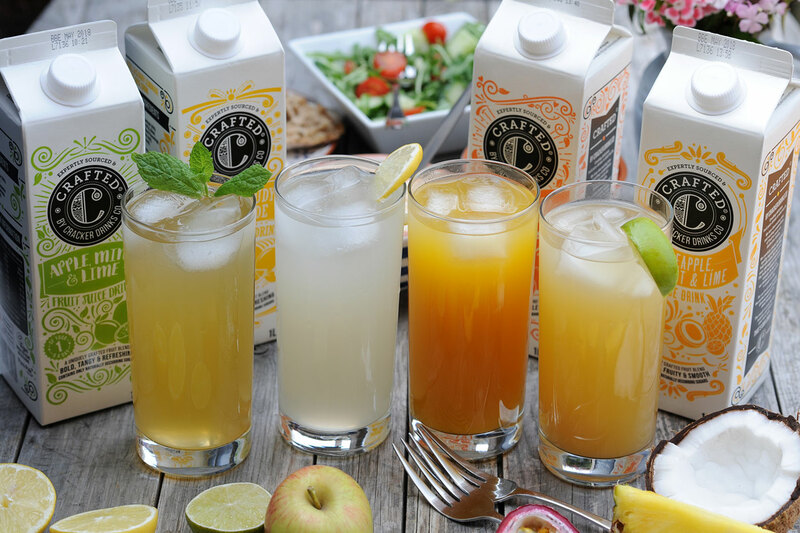 This makes Crafted the ideal choice for those looking for a refreshing drink which is also deliciously healthier. It has been a busy and exciting summer for Crafted. Following our first launch in Sainsbury’s, our new juice drinks are now available in Waitrose and Asda as well. They can be found in the ambient juice aisle. 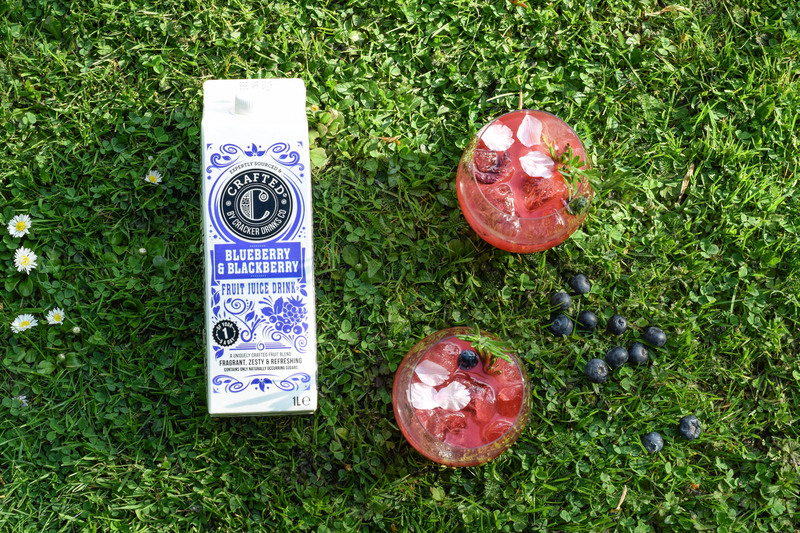 Crafted drinks offer high quality and unique fruity blends with no added sugar or sweeteners. They are also a great way to enjoy 1 of your 5 a day! 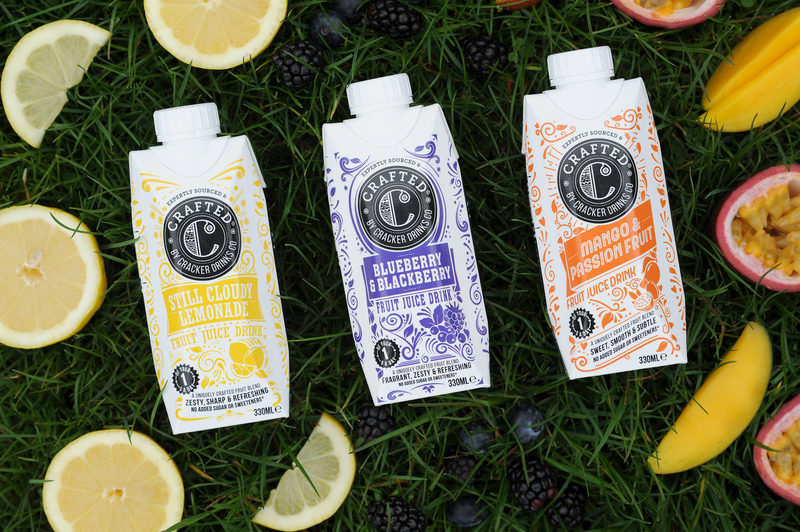 Crafted® by Cracker Drinks Co is a new brand of fruit juice drinks: Made in small batches in the UK, its distinctive flavours are created using unique fruit juice blends to craft a delicious range of drinks; a refreshing way to get your essential five a day without added sugar or sweeteners. 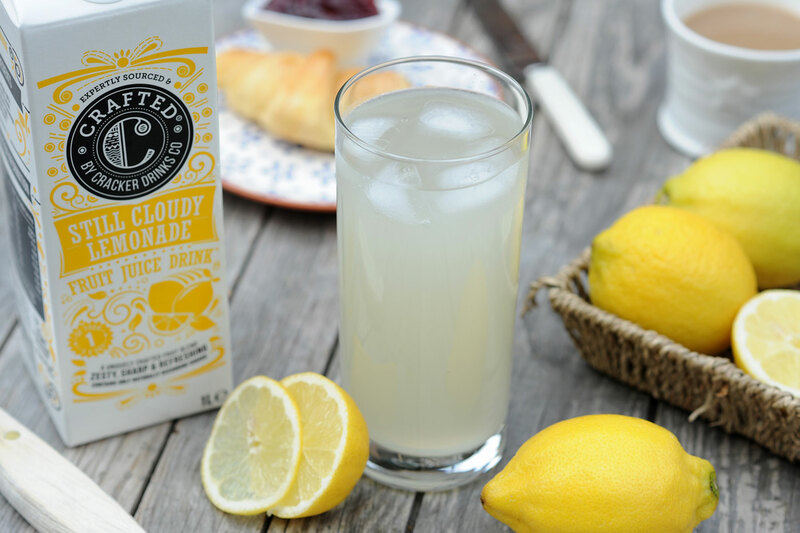 Flavours include Mango & Passion fruit; Pineapple, Coconut & Lime; Apple, Mint & Lime and Still Cloudy Lemonade.